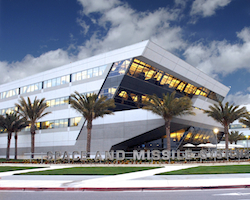 The tenth GPS Partnership Council meeting will take place at the Space and Missile Systems Center, Los Angeles Air Force Base, on May 4 and 5, 2010. The theme is "Advancing PNT Changes Today…Securing the World’s Needs Tomorrow." Conference sessions will take place at the Gordon Conference Center (Building 270). The hosts are Brig. Gen. James Haywood, Director of Requirements, HQ AFSPC/A5; Col. David Madden, Commander, Global Positioning Systems Wing; and Mr. Anthony Russo, Director National Coordination Office for Space-Based PNT. These military and industry networking meetings are sponsored by the Los Angeles chapter of AFCEA (Armed Forces Communications Electronics Association) and the USAF GPS Wing. On May 6, after the council meeting, conference attendees may participate in a scramble golf tournament at the Los Alamitos Navy Golf Course in Cypress, near Seal Beach.